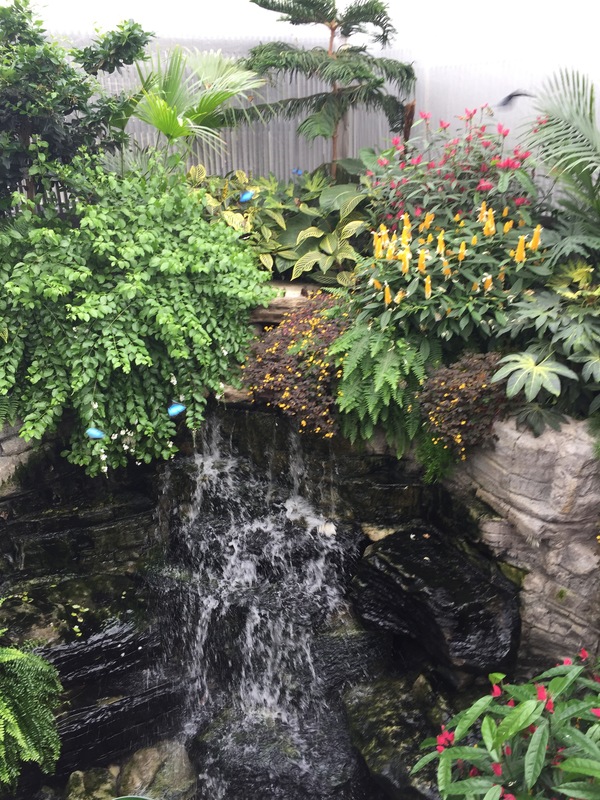 Today we experience the butterflies go free exhibit at the Botanical Gardens in Montreal. If you haven’t check this out it’s definitely a must see in Montreal and kids and adults alike will get a little kick out of this. We ventured off with our almost 3 year old and our baby (almost 5 months) to see what this exhibition was all about. 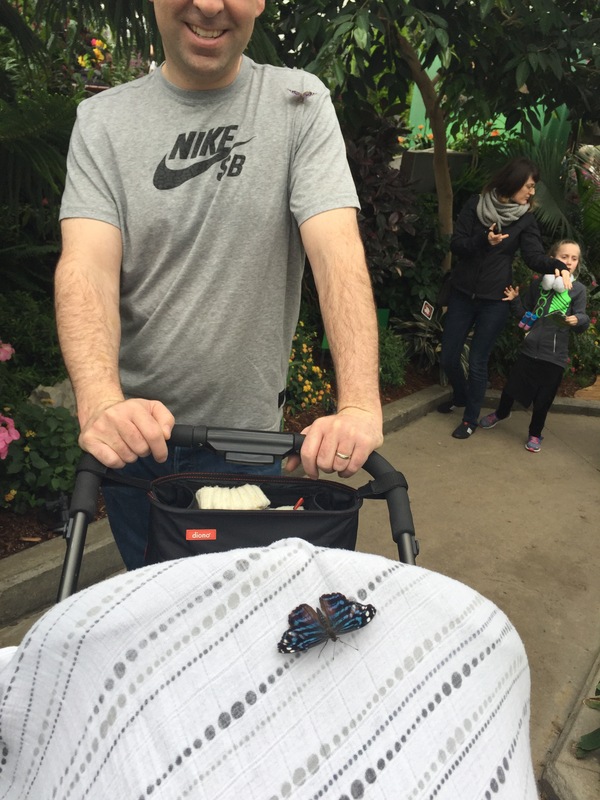 Baby slept the entire time which was great, but word to the wise have something to cover the stroller because those butterflies are not shy! Don’t rush this exhibition. It’s beautiful! 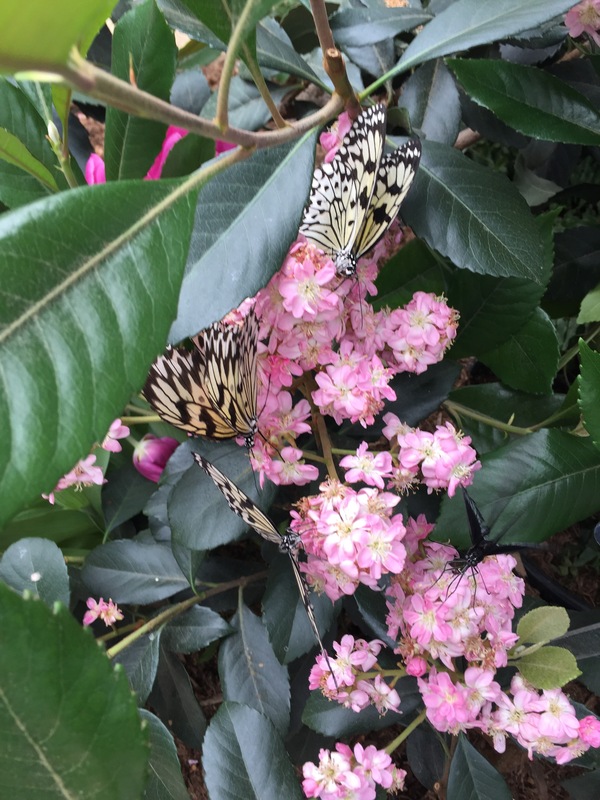 All the butterflies are flying around, resting checking out the flowers, and feasting on fruit. 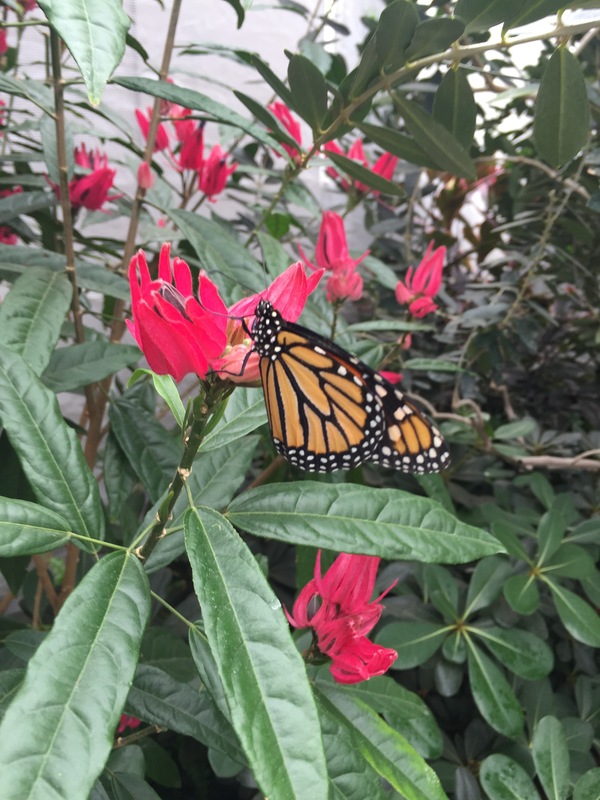 Stepping into this exhibition makes you forget about the cold and frigid temperatures outside. As you follow the path, you are lead towards the centre of the exhibition where you can sit and really take it all in. 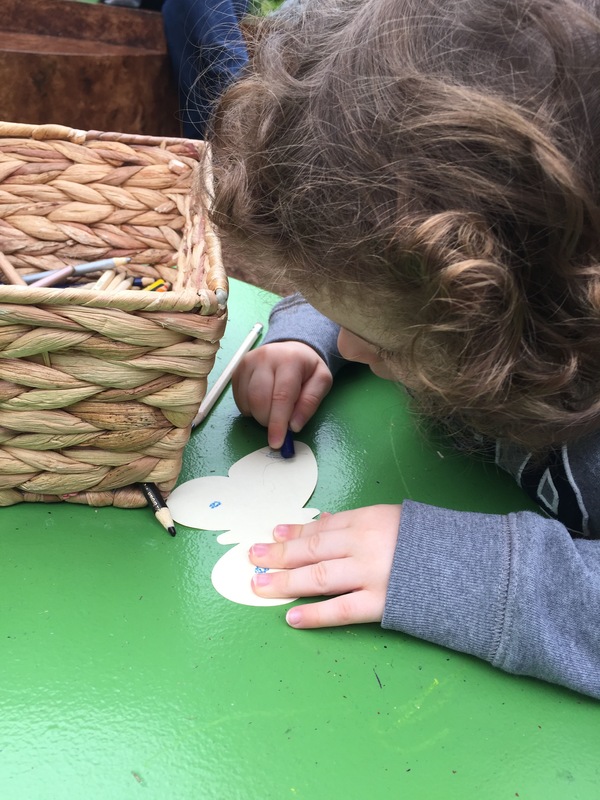 There is a small activity for children in which they can colour their own butterflies and be part of the exhibition. 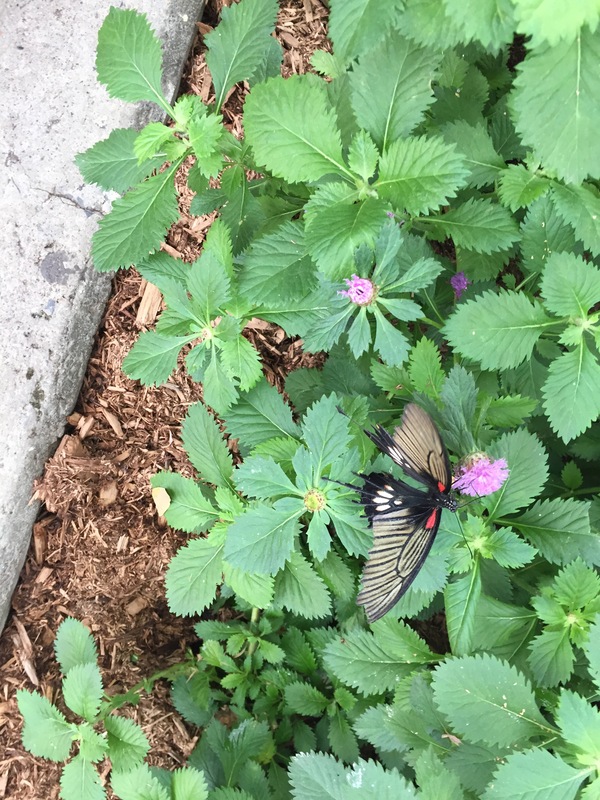 If you stand still long enough, some of the butterflies may land right on you. My husband had a few land on him and as mentioned the baby’s stroller had a few visitors. 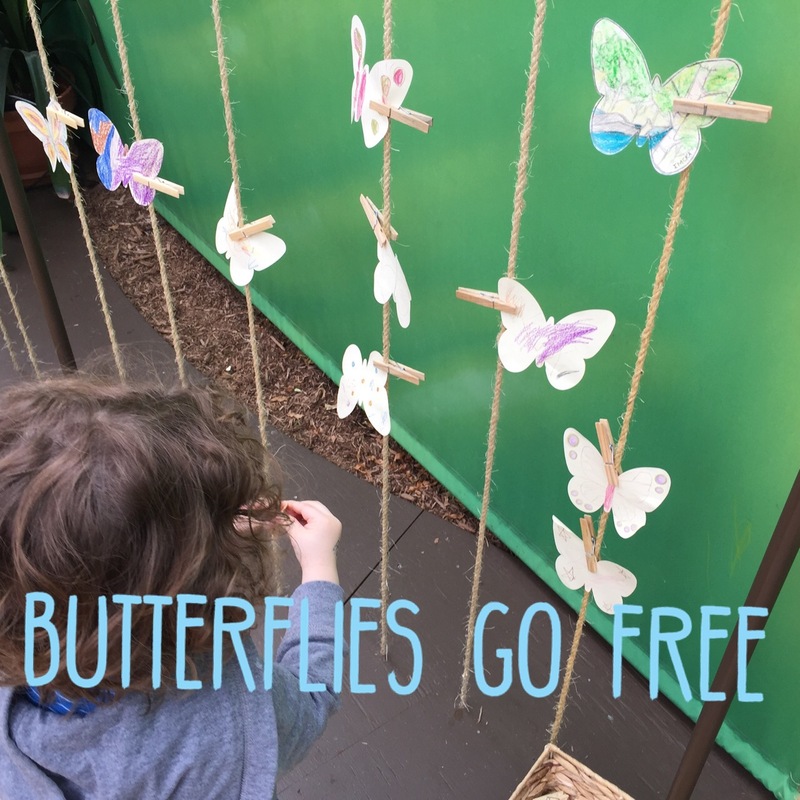 You will defiantly have a great time at the Butterflies Go Free exhibition this spring! 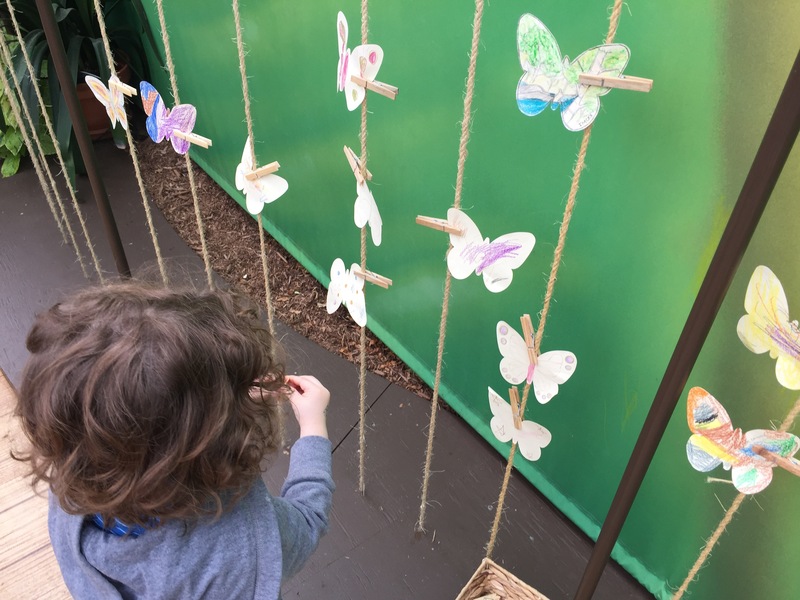 Hurry these butterflies are only on display until April 30th! There is a snack bar and plenty of washrooms and water fountains available.